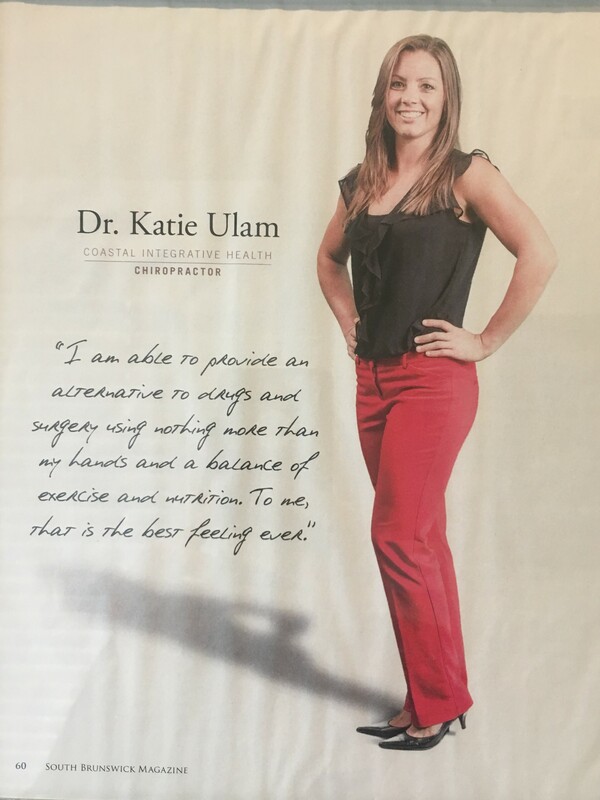 Dr. Katie Ulam was born and raised in Cortland, Ohio. She attended The Ohio State University before receiving her Bachelor of Science in Biology from Youngstown State University. She was very active with dance, sports, and horses while growing up which lead her to a Chiropractor in Ravenna, Ohio and started her love for Chiropractic care. She attended Palmer College of Chiropractic in Port Orange, Florida. While attending chiropractic school, she learned that chiropractic was much more than moving bones. During her education at Palmer she learned the latest and safest techniques and the most up to date research in the chiropractic field. She is certified in Graston technique which is an instrumented assisted soft tissue mobilization that effectively breaks down scar tissue. While interning at Palmer Clinic, some of her favorite patients to treat were children and athletes. Nutrition and exercise are important parts of Dr. Katie’s life and reflected in her patient’s care plan. Dr. Katie moved to Myrtle Beach after graduating in 2013 and worked in Shallotte, NC for over 4 years with Coastal Integrative Health. She loved all of her patients from retired golfers to pregnant women and babies. Her 4 plus years spent at her previous clinic allowed her to grow as a chiropractor and lead her into her next endeavor. She is extremely proud to bring her skills back to South Carolina with opening her own clinic, Coastline Chiropractic.